Quality home care provider dedicated to your holistic well-being. Helping Hearts Senior Care provides private-duty, personalized home care in Birmingham, Alabama. Founded in 2017, Taneshia McClease created Helping Hearts Senior Care to ensure that seniors, veterans, and those with disabilities receive proper respect and care while being taken care of by a caregiver. With over 15 years of experience as a nurse in the healthcare industry, Taneshia’s passion enables our company to deliver care with hope and compassion for all. Since its establishment, Helping Hearts Senior Care has served more than 100 individuals and has positioned itself as a reputable home care agency. 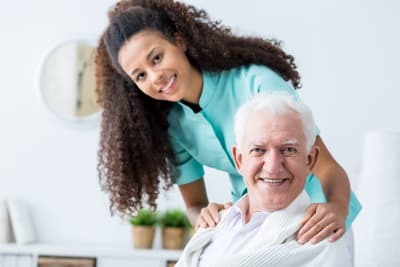 Our mission is to provide safe, compassionate care services and comprehensive senior care solutions that enable adults and seniors to live independently and safely in the comfort of their own homes for as long as possible. Helping Hearts Senior Care is owned by a nurse. We specialize in dementia care and fall prevention and are usually able to staff a case within the same day. Helping Hearts Senior Care has a new perspective on Senior Living! Our mission is to enhance the quality of life of those we serve while providing excellent care. Our trusted caregivers are bonded and insured to give you peace of mind when you welcome them to your home. Each member of our team undergoes extensive background checks, drug testing, & reference checks prior to coming on board. Our caregivers take their profession seriously and they are very passionate about what they do. Helping Hearts Caregivers are the best! They really put their hearts in it. We have partnered with the Institute for Professional Care Education to establish our very own Helping Hearts University. We thoroughly train our caregivers on how to provide the safest and highest quality of care. Our caregivers are not just qualified and experienced, but they are homely, honest, customer-centric, and compassionate. We’re not just a franchise from another state. We’re a locally owned and operated home care agency headquartered in Birmingham, Al, which means we’re always close by. Our professional caregivers are also local, ensuring fast service when it counts the most for you and your loved ones. You can rest easy knowing that we’re here for you as often as you need us, 24 hours a day, 7 days a week. Helping Hearts Senior Care got you covered!